Warruwi Community, Arnhem Land is one of very few places in Australia where children grow up speaking more than one traditional Indigenous language. 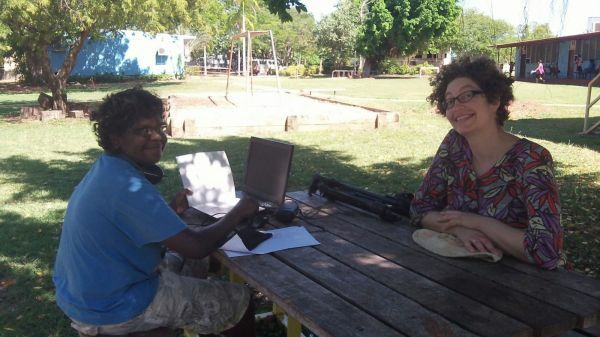 This project investigated language use at Warruwi Community through biographical interviews, participant observation and the analysis of multilingual conversations. The project examined the relationships between Indigenous languages at Warruwi Community to identify how so many small languages were maintained in this community. Although the set of languages spoken at Warruwi Community has changed since White contact, the way that multilingualism is practiced seems to reflect long standing practices underpinned by persisting language ideologies and attitudes to multilingualism. The project looked at three age groups: adults, schoolchildren 6-10 years and adolescents 15-18 years. This study showed how strong Indigenous languages have been maintained within multilingual communities so that we can work out how better to support Indigenous languages. The study also contributed to international debates around the nature of language change in small, highly multilingual communities, which are thought to have been the norm throughout most of human history.